I’ve been obsessed with Tolkien for far longer than I’ve been obsessed with video games. The Hobbit has been my favorite book for most of my life, with The Lord of the Rings being my second favorite. There is something about these stories that relate to so many people, with their themes of friendship, bravery and unity. So, obviously, every opportunity to combine this passion with my love of video games I jump at. There have been plenty of video games based on the works of Tolkien – and why not? Fighting games are popular, war games are popular and questing games are popular. The world of Middle-Earth features all three. I’ve played every game I could find based on Tolkien or his characters (or films inspired by his work). They haven’t all been great…some have been rather…well, terrible. But some take you into Middle-Earth, not quite as well as the books, but pretty darn well. So, I’ve brought together my five personal favorites on this list! This list is entirely my personal opinion, so I apologize if your favorite isn’t on here. There are certainly more than five great Tolkien-inspired video games, but these are the five that I most enjoyed playing. The number five spot was going to be this or Middle-earth: Shadow of Mordor. As much as I love the latter, I felt like it already gets a lot more praise and acknowledgement than this game. I also think that as great as Shadow of Mordor is, its plot could separate from Tolkien and still be a good game. (After changing some names to avoid copyright infringement.) Besides, the game is just filled with so much whimsey, I can’t help but be charmed by it. Based solely on Tolkien’s work rather than anything from Jackson, the game follows the journey of Bilbo Baggins after he joins Thorin’s company to save their homeland from the dragon Smaug. It’s a cute little platform, action-adventure game with some puzzles thrown in for good measure. It sticks rather closely to the plot of the book (although there are a few eye-rolling moments that will piss off Tolkien fanatics). I love the narrative and the charming style. I’ll admit that it’s overly easy, but then again, it’s for all ages, much like The Hobbit book. I feel like this is a game any Tolkien-fanatic could love, regardless of how big of a gamer they are. It brings with it a whimsey and charm that The Hobbit book had, but the Jackson film franchise missed. Its soundtrack also complements the world of Middle-Earth perfectly. I have a bit of a love-hate relationship with this game. Its story is absolutely fecking ridiculous! You play as six characters, a Gondorian soldier, a Lothlórian elf, a Dúnadein ranger, his dwarf friend and two Rohan warriors. (One who is really from Gondor but got exiled for reasons.) After the Gondorian soldier fails to find Boromir at Rivendell, he starts randomly following the Fellowship, picking up his new friends along the way. Pretty much all of the characters are intensely annoying and the gameworld is poorly designed. All the levels look so samey that you’ll take twice as long as needed just trying to navigate. The location of the save points was also apparently decided by throwing a selection of darts at a map of Middle-Earth! Having said all that, there are elements of this game that I love. I enjoy the turn-based combat in this game, even though enemies are so samey you’ll end up repeating similar battles at least twenty times. But you improve the characters after every battle, so new abilities are gained quickly. All characters have such diverse skills and it’s worth exploring all of them, although you’ll learn quickly which ones aren’t worth using. As you play the game, it feels like you do get to explore Middle-Earth and see things through the eyes of the Fellowship. It recreates scenery that we don’t get to see in Jackson’s films. In general, I’m not a big fan of LEGO games. They’re often overly corny, and I end up hating myself if I don’t collect all of those random coin-things that are everywhere at the end of a level (even though doing so is fecking impossible!). But the corny humor that annoys me in other LEGO games kind of charms me in this one. Most of the time the game made me laugh I felt rather ashamed of myself. I guess that’s because I feel so close to the fandom. Seeing the LEGO versions of Middle-Earth locations probably wouldn’t feel as charming to me if I wasn’t so obsessed with how Middle-Earth looks. It’s also a great alternative for those who are too lazy or broke to make your own LEGO Middle-Earth. I’m also glad this game came out so long after the films. The films had their own video games, which are also pretty great. 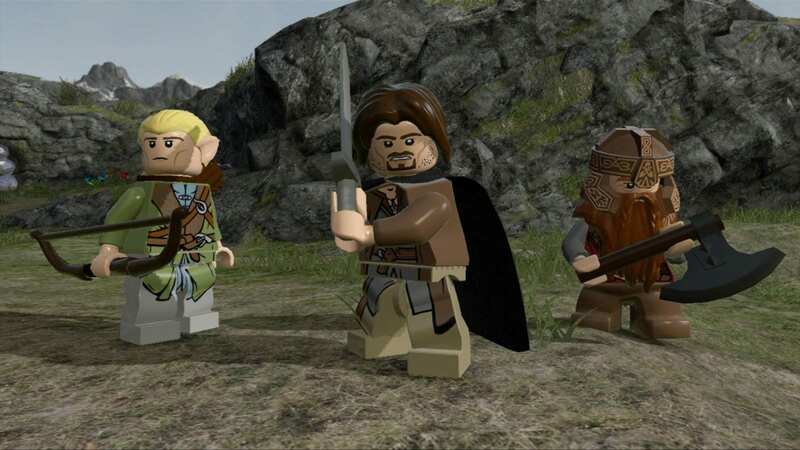 And while some of the levels seem similar to those in the games (most notably the first with Isildur), the LEGO version explores a much more whimsical side of the adventure than the film-based games did. 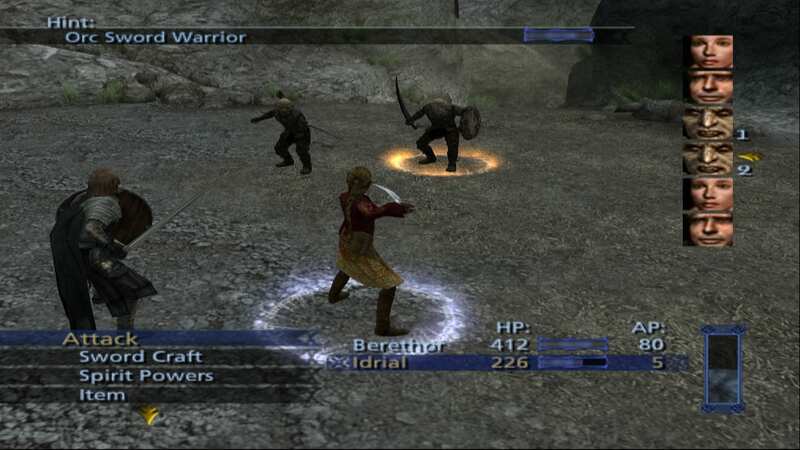 But while the game is mostly based on the films, there are moments made especially for fans of Tolkien, such as the addition of characters that don’t appear in the film, along with items and locations. I’ll admit that the combat is pretty repetitive and uninspired, but the real fun in this game comes from the story and being able to explore to your heart’s content. You can just run around all of Middle-Earth – made of LEGO! I know it’s an obvious choice, but if you want a game that’ll allow you to explore all corners of Middle-Earth…well, this won’t do it, but it’s the closest that we have as of yet. This game was made with so much passion for The Lord of the Rings and features many characters from the much-beloved book series. Disappointed that Tom Bombadil wasn’t in the films? Well, he’s here in this MMORPG! Skipping, singing and everything. 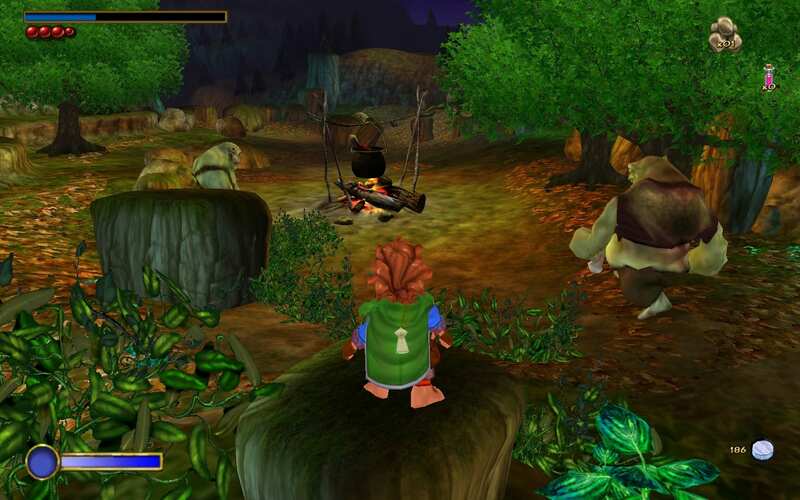 In the game, you get to choose from several classes which determine your character’s skills, such as hunter, burglar or guardian. You travel through the world, completing quests and fighting monsters to gain XP. It’s all pretty standard MMORPG when you boil it down, but it takes a real Tolkien fan to appreciate all the scenery and stories of the game. It’s filled with side quests that, while not containing any original Tolkien characters, really fit in with the spirit of his world. There are parts of this world that feel chilling and scary, then others that are filled with the charm of Tolkien’s work. Sure, training in this is probably more frustrating than in any MMORPG I’ve played – any monsters it’s actually possible to kill at your level will give you minuscule XP. Plus, there are literally no consequences for dying! There are times I’ve died in the game just for the sake of teleporting! 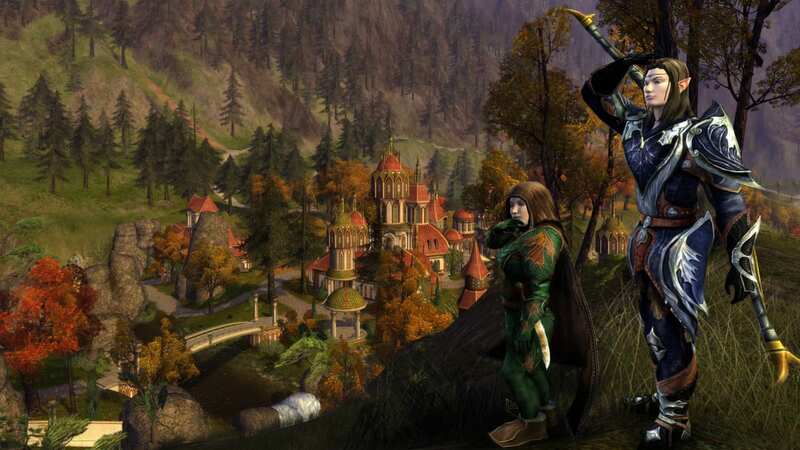 It’s not the best MMORPG ever made, but it’s certainly one of the best games inspired by Tolkien. Okay, so this game is purely based on Jackson’s movies rather than Tolkien’s books, so it’s a little questionable to put this at number one. (Not that it would be the only questionable entry on this list.) But at the end of the day, this is the only game on this list that I could call completely flawless in its genre of gaming. 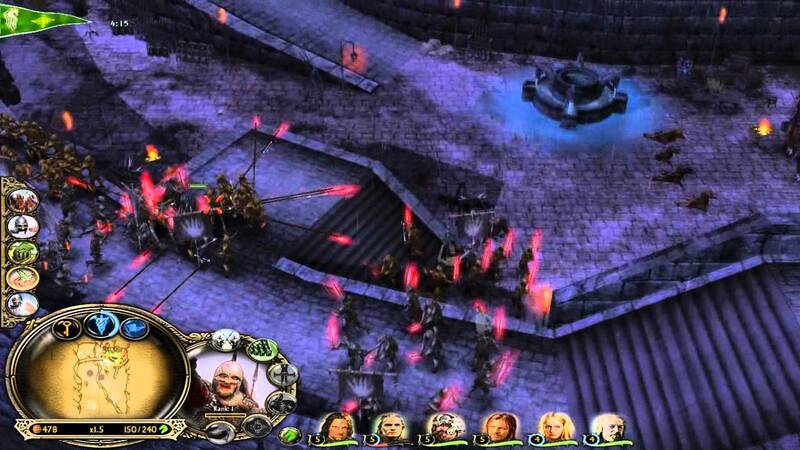 The Battle for Middle-Earth is a battle strategy game, set over the course of the Fellowships’ journey. You start in Moria with the Fellowship and end battling at the Black Gate with the many armies of Middle-Earth. Throughout the game, you travel through various locations of Middle-Earth, but mostly through the Kingdoms of Gondor and Rohan. Battle for Middle-Earth is really well made and super fun and addictive. I can sit down to a session of this game, get lost in defending the world of Tolkien, then look up and realize I’m four days late for work! There is so much to explore in this game and so much to achieve – all in the name of Tolkien! I want to stress again that this list is based on my personal opinion, so I’m sorry if your favorite Tolkien-related game wasn’t included. It’s pretty awesome that there have been so many games inspired by the books at this point, but then again what can you expect from books so popular! If you’re a Tolkien-fanatic gamer and haven’t played any of the games on this list, I recommend you check them out. Dougie Powell is a guest writer.